INTERNSHIP PROGRAM FOR FRESH GRADUATES - ADHERENCE PSYCHOSOCIAL AND COMMUNITY (APSC) AREA. quality health care services to Tanzania's through establishment and strengthening of comprehensive family focused HIV/AIDS Prevention, Care and Treatment services in Pwani, Kigoma regions and Zanzibar. 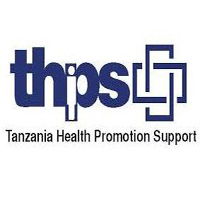 This is a continuation of the PEPFAR funded broader US Government HIV/AIDS initiatives through Centre for Disease Control Tanzania (CDC) in Tanzania. THPS through Adherence Psychosocial and Community (APSC) partnership program contributes to the MoHCDGEC goals of promoting a continuum of care, increasing utilization of services and ensure retention in care and treatment to PLHIV by using district approach. This internship program is designed to provide fresh graduates from college and university with an opportunity to learn and exercise the practical experiences of what they have learned while studying. This attachment will be for a 3 to 6 months period. 3. Pursued a degree in Social Sciences, Nursing, HIV/AIDS Counseling Psychology or equivalent from a reputable college or university. 4. Interested applicants should send an email to hr.thps@gmail.com by 19th October 2017 with a subject line Adherence Psychosocial and Community (APSC Pwani/Kigoma Region). 5. Attach their application cover letter one page maximum indicating their learning objectives or which competency s/he expects to gain and a four pages CV maximum. 6. Successful candidate will receive a monthly stipend in accordance with the THPS’s internship guidelines. 8. The intern will be required to produce a monthly report detailing accomplishments, proposed plan for follow up, and provide lesson learned at the end of the attachment. 9. No expectancy of the employment with THPS at the end of the attachment.